Tired of waiting for the vapourware called Aakash? Here's a list of alternatives for those on a shoestring budget. Still waiting for the Aakash tablet? Wake up and smell the scam, my friend — it's time to move on. In the meantime, the market has been flooded with ultra-cheap tablets that offer better specs and more features. Of course, these gadgets from Intex, Micromax, Zync, Beetel, HCL, and NXG aren't as easy on the pocket as the government-funded Aakash. Nonetheless, they offer a great price to performance ratio. Without further ado, here's the list of tablets that should be on the radar of any bargain hunter. Note that I have not included any tablets with CPUs less than 1 GHz or lacking a multi-touch screen, since that's the minimum requirement for a decent Android experience. 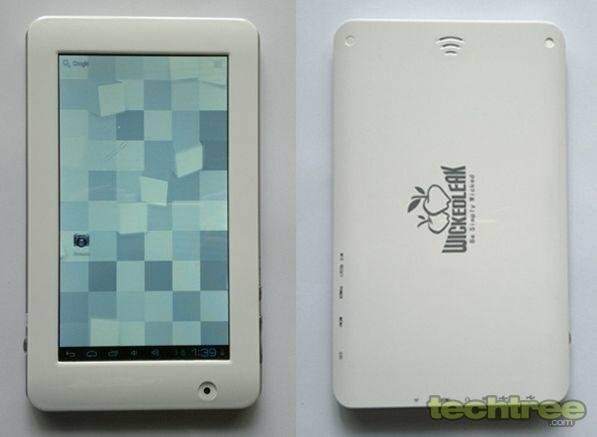 WickedLeak's Wammy 7 is a pocket-friendly tablet that offers Android 4.0 (Ice Cream Sandwich) and a plethora of features, including HDMI-Out and 1080p video playback. The device is powered by a 1.2 GHz CPU, coupled with 512 MB of RAM. More importantly, the righteous company makes sure that no prison labour is involved in the manufacturing process. Accordingly, for Rs 6300 (including warranty, which is a must-buy), the Wammy 7 deserves its place in this list. If you ignore the highly annoying Akshay Kumar ads, Micromax is a pretty decent brand. Like its entry-level cellphones, the company's affordable tablet has become an instant hit in our country. Instead of buying a device made in some shady factory in China and then branded by an unheard-of Indian importer, people prefer to go for established brands. Thankfully, Micromax's tablet doesn't disappoint its buyers. Its 1.2 GHz CPU goes well with ICS. The slate is also capable of 1080p video playback, and sports an HDMI-Out port. 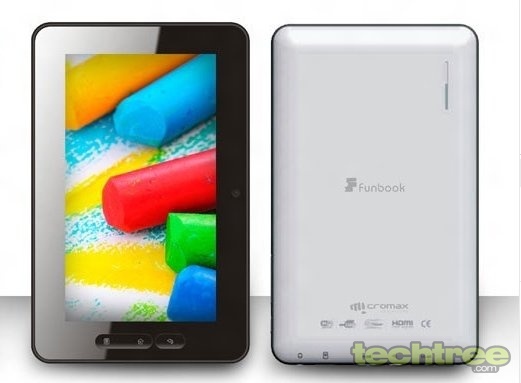 Unlike most affordable tablets, Micromax's funbook doesn't look bad either. What else could one ask for while shelling out a measly Rs 6300? On paper, the Xtab A10 is just another Android tablet. However, it's the A10's snappy performance that makes it special. Its 1 GHz CPU (NXG advertizes the CPU as 1.5 GHz, but that's not the actual clock speed) and 512 MB of RAM keep the ICS experience pleasant. Additionally, its sleek design and sturdy construction provide it an edge over the competition. Needless to mention, it comes with the usual bells and whistles, including an HDMI-Out port and microSD card slot. 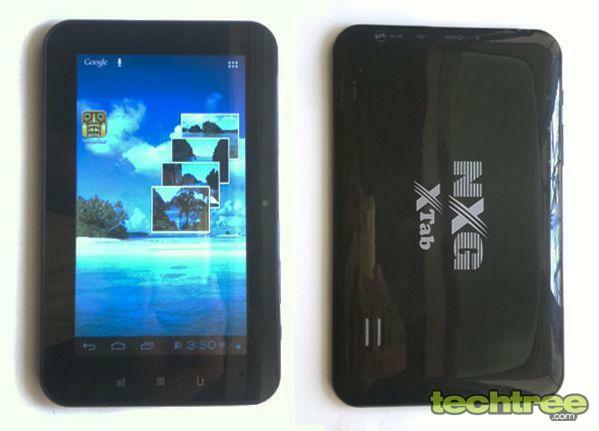 To sum it up, the Xtab A10 tops our list of recommended tablets with its impressive performance and reasonable price. The only thing you need to worry about is the stream of negative reports emanating about the company's policies, customer support, and an apparently faulty batch of products that found its way into the market. It has to be said though, that I did not encounter any problems at all when I used the tablet. NXG has also issued a triple-money-back challenge to anyone who can show that the battery life while watching movies is less than three hours. In light of all this, to be on the safe side if you intend on purchasing the tablet, use the eBay.in link provided in the street price, instead of ordering the product directly off the manufacturer's website. This will give you at least a modicum of protection in the event that you're delivered a lemon.